This week, the World Body Painting festival wrapped up in Austria. With artists from 40 different countries, the event is the World Series of body painting. While this is the 15th annual event, body painting first hit it big in the early 1990s. In 1992, body painting got mainstream exposure when Demi Moore appeared on the cover of Vanity Fair in her, pardon the pun, birthday suit. And throughout the 1990s, body painting started appearing in men's magazines; one Japanese adult mag even had models painted as characters from anime like Neon Genesis Evangelion, Space Battleship Yamato, and Cutie Honey. Game companies have also used body painting for rather explicit promotions—such as the now infamous Russian Mass Effect body painting stunt. 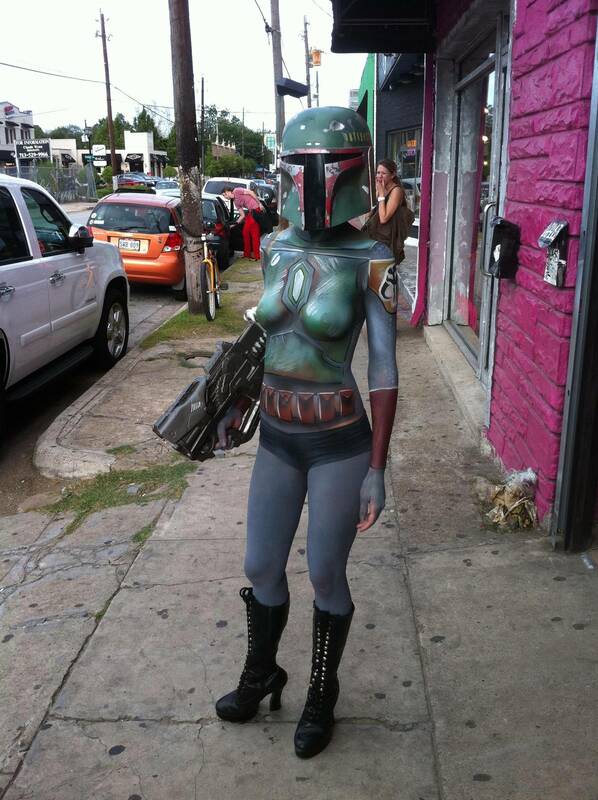 When done well, body painting is an artistic expression. Japanese artist Makoto Aida used the form to make a biting commentary on how manga and anime objectifies the female form by drawing eyes on model's breasts. When it's not, the medium is people barely dodging a police fine for public indecency. 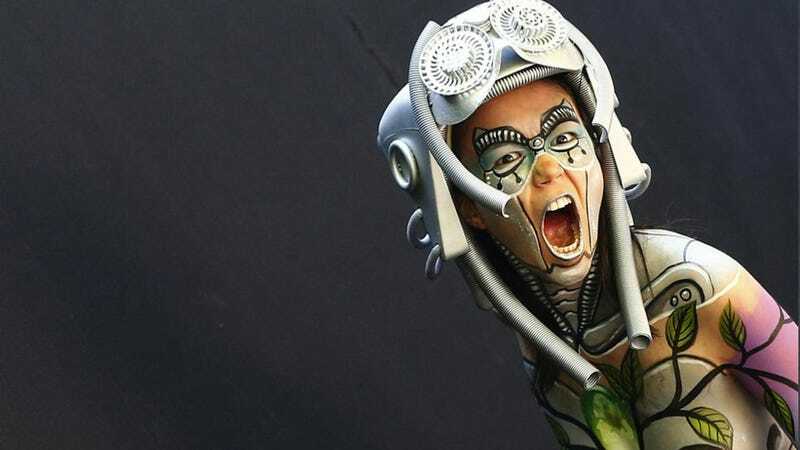 Have a look at some body painting from over the years as well as some entries from the World Body Painting competition.